I have literally been swimming in organic Colorado peaches. I have always loved peaches but Palisade peaches? They're something else. They are the kind that soak up the snow melt on the Western Slopes of the Rockies, beat the vagaries of our spring weather and bring chin drippin' lusciousness to your taste buds in summer. 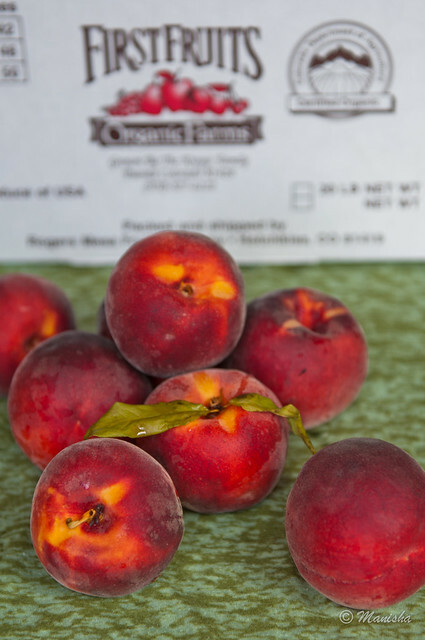 The demand is always high for peaches, and even more for organic peaches. But before I go all peachy on you, I have some exciting news to share. Come fall, I will be teaching Home Cook Classes in Indian food at the Auguste Escoffier School of Culinary Arts in Boulder. The classes will be monthly with the first class on September 26. If you are local (Denver / Boulder area), this will be a fun class that teaches homestyle Indian cooking, not the greasy-fare you find in Indian restaurants. It's food that you will make over and over, be able to adapt to other produce, because you will learn simple techniques that form the foundation of Indian cooking. 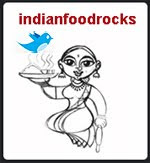 This workshop also makes a great gift for someone who is interested in Indian cooking. I hope to see you there! On October 12, I will be introducing an Indian film made in the UK that is part of the new Food Film section of annual International Film Series organized by CU Boulder, not to be confused with Boulder International Film Festival. The film, Jadoo, will be shown at 7pm in the Muenzinger Auditorium, located west of Folsom Stadium (400 seats) on the CU Boulder campus. Tickets are $7 per show, $6 for CU students, with a Food Film Festival pass for $25 that will get you into all five food films. This pass includes free parking validation at the Euclid Auto-Park garage. My friend Julia has been working tirelessly to get this together, from conception to implementation. The film Jadoo is sponsored by Savory Spice Shop, my favorite spice shop in Boulder. Thank you, Dan! If you are local, please mark your calendar and come out to Muenzinger Auditorium to watch an Indian food film with visuals so strong that you can smell the food! I'm also working on some cultural activities around the film and if they come through, I will have more information in the days to come.